Home → Uncategorized → What Are Your Options When You’re Declined For a Car Loan? What Are Your Options When You’re Declined For a Car Loan? Hearing the words “No” when applying for a car loan is frustrating. You don’t feel like you’re a high-risk borrower, so why do lenders think that? I’ll give you a hint – it’s probably because of your credit score. With a low credit score you’re more likely to be declined for any kind of loan – car, cash, mortgage etc. If you are approved, the interest rates are usually astronomical for people with a low credit score. The reality is, we live in a society driven by credit. You credit history can be checked when opening a bank account, renting a home, even applying for a job, not just when you’re applying for a loan. Without a solid credit history, or worse, with a poor credit history, lenders see you as too much of a risk, and therefore decline you for the important things you need in life. Being turned down for a car loan isn’t the end of the road. You still have options to get you into that new vehicle, but it might take a bit of work. Trust me though, it will be worth it. The first thing to keep in mind is that the more applications you make, and are turned down for, the bigger the negative impact this will have on your credit score. As soon as you are declined for a loan the first time, STOP. Take a breath and determine why you were turned down. You can do this by looking at your credit report. 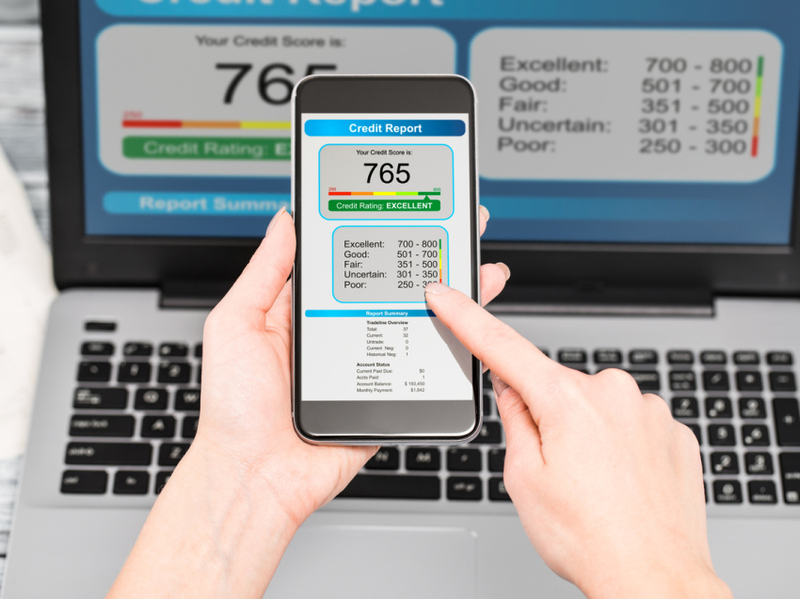 It’s good practice to review your credit report at least once a year anyway. Perhaps you missed a couple of payments on a loan and didn’t realize? Perhaps you have something in collections that you weren’t aware of or maybe there is evidence of fraud on your report. If these errors are caught, and rectified, your credit score should start to steadily increase again, as long as you’re making on-time payments. If late payments are the norm for you, you’re always going to experience resistance from lenders when it comes to borrowing money, and a prior bankruptcy or consumer proposal is also going to hit your credit score hard. It’s time to make some changes. Reduce your DTI. Your DTI is your debt-to-income ratio – the amount in debt payments you must make each month versus the amount of money you make. For example, if your monthly income is $3000, and your minimum payments on your debts are $1500 every month, you have a debt-to-income ratio of 50%. To be considered low risk for lending, your DTI should be less than 43%. How can you reduce your DTI? Pay down some debts or increase your income. Reduce your credit usage percentage. Credit usage percentage is the total amount of credit you have to your name versus how much of it you have used. For example, if you have a credit card with a $10,000 limit and a $7,500 balance, you have 75% credit usage. For the best interest rates, bring your credit usage below 30%. If you’re already paying down your debt to decrease your DTI, your credit usage percentage should naturally decrease too. Use available tools to build your credit. Lowering your DTI and credit usage percentage and making all your bill payments on time and in full is a great start in building your credit score. But it’s not enough, or not fast enough for some people. Give your credit score a boost with a secured savings loan or a secured credit card. Having both will increase your score even faster – you’ll be diversifying your credit products with a mix of revolving (credit card) and installment (loan) credit. If you invest at least 6 months into pro-actively building your credit score using all of the tools available, you’ll be able to apply for a new car loan. Keep an eye on your score throughout the process so that when you walk back into the dealership, you can do it with confidence, knowing the only words you’re going to hear are “Yes, you’re approved!” – just like Sarah. She worked hard to build her credit with credit building tools from Refresh Financial, and was given a great rate on a vehicle that met her needs perfectly! US cards vs Canadian Cards – Hotel Cards PC Financial World Elite Mastercard Review US Dollar Cards for Canadians – Compared Travel Question: How Do I Take Out Money While Travelling? Don't subscribe All Replies to my comments Notify me of followup comments via e-mail. You can also <a href='https://www.creditwalk.ca/comment-subscriptions/?srp=5568&srk=2648578ecea05c83754707575dc5a494&sra=s&srsrc=f'>subscribe</a> without commenting.